This series was more of a by product, than an intentional creation. 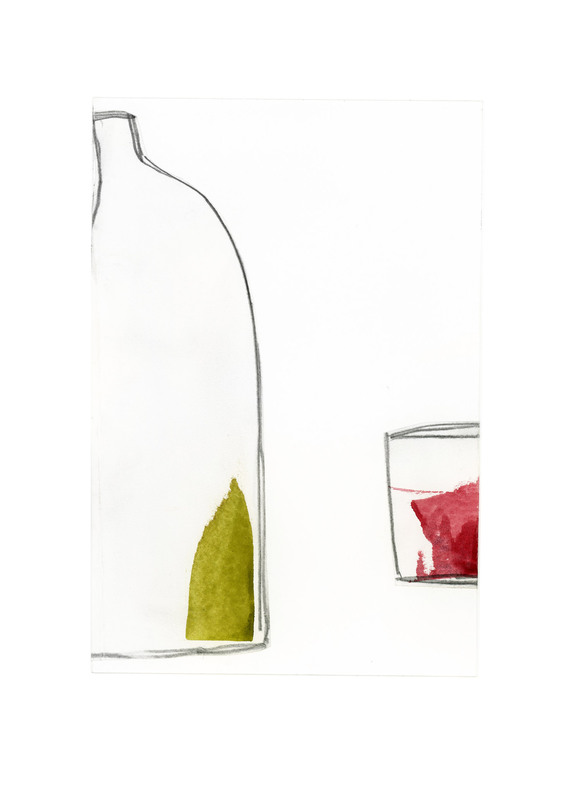 I had been sketching bottles of all shapes and sizes on scratch paper, making templates for the series of collages I posted a while back—the one with painted fabric bowls and bottles. Afterwards, I had tossed my many sketches into the scrap bin. Only to pull them out weeks later and exclaim, “hey, I really like these!”. I added swipes of color to a few, et violà, a new series was born. So glad you are still doing collage. You have explored new territory.